Home > Archive by Category "Dog Bite Lawyer"
Were you recently attacked by a dog? About 4.7 million dog bites occur in the United States every year and a large percentage of those attacks require medical attention and even lead to legal action. Getting attacked by a dog can be traumatic for the victim and their friends or family. Be prepared by knowing your rights and what necessary measures to take after an attack occurs. 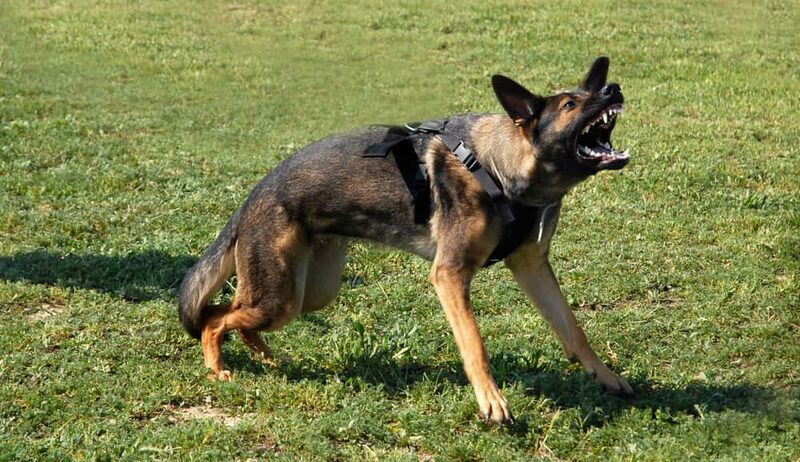 Read on to learn more about what to do if a dog attacks you. If a dog bites you, one of the first steps, aside from seeking the necessary medical attention if the situation is urgent, is to get the information from both the owner and their dog. In most states, dogs require a license and to be registered to an owner. And just because a dog is with a human, doesn’t mean that person is their owner. Clarify if that person is indeed the owner and if not, ask for the owner’s information. Be sure you get the information of the person who was with the dog at the time of the attack since they’ll be an eyewitness. At the very least, you should write down the name, breed, and age of the dog for your records if the owner isn’t able to supply you with more information at that time. If the bite is severe, don’t waste time driving to the doctor or hospital, simply call for an ambulance. While all dogs should be up-to-date on their vaccinations and vet visits but you won’t know that for sure so don’t mess around if the bite looks serious. If the bite does not result in an urgent situation, you should still visit the doctor for a check-up. Let your physician know what happened as he may suggest administering a tetanus shot to avoid the bite from getting worse or causing an infection. By visiting your doctor after the incident, he’ll also be able to make a report of the attack and keep track on your injury as you recover. This will be important information as you move to file a report or take legal action against the owner of the dog. It will also help your case to have documentation of the attack right away. If you wait too long to go to the doctor, it would appear that your injury wasn’t as serious as you may now be claiming it is. If it wasn’t necessary to call the police or an ambulance when the attack occurred, be sure to file a report once you’ve visited your doctor and have an idea of how bad the injury is. If police were called during the attack or you were rushed to the hospital, a report should already have been filed by the authorities in charge at the scene. If this didn’t happen, you can file a report with your local authorities within the city you reside in. This is usually as simple as contacting your local police or visiting the station nearest to where you live or where the attack took place and explaining to them you’d like to file a report of a dog attack. You may not think this is necessary, especially if the injury is minor but it’s important to do. For starters, sometimes you don’t know the severity of an injury until later on as new symptoms can develop after a few days or even weeks. Second, if you don’t file a report, a dangerous dog is still potentially on the streets as their owner likely won’t take the steps to fix the problem or ensure their dog isn’t around people anymore. It’s important to alert authorities so they can stop the dog from hurting anyone else. You’ve started your documentation by visiting the doctor and reporting the incident. Keep it up by taking photos of any injuries sustained, ripped clothing or other damage to either yourself or your personal property. Taking photos and keeping track of what really happened with visual evidence will streamline any legal proceedings and keep things from turning into your word against the dog owner’s, especially if there were no witnesses. If you’re seriously hurt and want to receive financial compensation for your medical bills, missed work or pain and suffering, you may want to contact a personal injury lawyer. They can help determine your options and see if a legal proceeding is the best course of action. With a lawyer, you have someone in your corner who can help you navigate this path safely and protect you during the process. They will understand your rights and what you’re owed better than anyone. Keeping a log is helpful regardless of whether or not you take legal action, but can be especially helpful to your lawyer once it does come time to settle the case or go to court. Legal proceedings don’t move quickly. There’s a lot of back and forth and time spent waiting for the next move. During this time, it’s helpful to keep a timeline of everything that has occurred. This could mean tracking doctors visits, physical therapy sessions, days taken off work, emails and phone calls from the dogs’ owner and more. Keep all of this information in one place; either on your computer or in a printed folder so you can access it quickly should either you or your attorney need information. Having this log will be very helpful and can save you from having to jog a foggy memory of what happened throughout the course of the situation. What to Do If a Dog Attacks You: Now You Know! With the information provided above, you no longer have to wonder what to do if a dog attacks you. These valuable steps can help guide you should you find yourself in this unpleasant situation. Keep in mind that you should always see a doctor, as your health is most important, and report the attack to authorities. Check out the rest of our site today to find the right attorney for your case and don’t forget to check out our blog for more legal tips. Reporting a Dog Bite: What Legal Actions Do You Take? Dogs are known as man’s best friend. In millions of households, they are beloved family members. But they are still animals, and sometimes they can be unpredictable. In fact, according to the Centers for Disease Control and Prevention, about 4.5 million people are bitten by dogs each year. A study from the Insurance Information Institute found the number of dog-bite claims nationwide is increasing. Even seemingly minor dog bites can result in significant medical bills and other harmful consequences. Reporting a dog bite is crucial, but it’s only one of the steps you should take to protect yourself and your family both physically and financially. Here’s what you need to do if you or a family member is bitten by a dog. The first thing you should do after a dog bite is get medical attention. If the bite is severe, you should call 911 or have someone drive you to the emergency room. Even if the bite is minor, you should see a doctor. Dog bites can lead to many complications and infections. Dogs that have not been vaccinated could carry rabies. It’s important you get a medical evaluation of your injuries and have all necessary tests performed. The records showing your medical treatments and testing also will be important when you need to demonstrate that you sustained injuries and deserve compensation. If possible, you should take pictures of your injuries, including puncture wounds and bruises, before your treatment begins or as soon after the incident as possible. It is crucial after a dog bite that you identify the dog’s owner and (if needed) the people who had custody of the dog when it attacked you. If you are unable to get this information, you may not be able to verify the dog’s vaccination history. This could mean you’ll have to go through a series of expensive and painful rabies shots. And it might mean you’re not able to pursue legal action later. If the dog is not with its owner, you (or someone you designate) should check to see if anyone in homes nearby recognizes the dog. Try to take a photo of the dog, if possible. If you are not able to identify the dog and owner because of your injuries, see if someone else can do it for you. Besides taking a picture of your injuries, document everything connected to the dog bite incident, including any torn or bloody clothing. You should also write down everything that happened as soon as possible. The more details and circumstances you can remember, the better. You (or someone you designate) should also speak to any witnesses and document their accounts of what happened. Witness accounts can be very important, especially if there is a dispute with the dog owner. Reporting a dog bite to your local animal control agency is very important. Sometimes a dog bite victim doesn’t want to file a report because he or she is friends with the owner. Or maybe they don’t want anything to happen to the dog. But filing a dog-bite report helps authorities enforce state and local dog-bite laws. It also may prevent future attacks as the dog that bit you or your family member could well bite someone else if steps are not taken to stop it. Reporting a dog bite to authorities will trigger an investigation. If a dog is found to be dangerous, the owner may be required to take extra precautions with the dog to protect public safety. In extreme cases, a particularly vicious dog may need to be put down. The owner may also face fines or even criminal charges if he or she doesn’t comply. Reporting a dog bite also provides legal documentation for your case. You will need the report if you need to file an insurance claim or a lawsuit against the owner. Filing a report will also help you get details about the dog’s history and its vaccination records. Besides all that, alerting animal control agencies about a dog bite can sometimes reveal that the dog is being abused or neglected, and needs to be rescued. Dogs that bite may also be victims, and bringing official attention to their living conditions may also expose their dangerous living conditions. It’s important you cooperate with the animal control investigation into the dog-bite incident. Animal control may issue subpoenas, interview witnesses, and hold hearings to figure out what happened. The laws on dog bites vary from state to state, and city to cite. It’s important for you to know the specific laws in place in the location where your dog attack took place. In most states, the law holds owners automatically liable for any injury their dog causes, whether they knew their dog was likely to bite or not. But some states have a one-bite rule that says the dog owner is only responsible if he or she knew the dog was likely to bite or had a history of biting. There are also breed-specific and other rules imposed by cities and counties. Fortunately, dog-bite damages are usually covered by homeowners and renters insurance policies, up to liability limits (usually $100,000 to $300,000). Any damages above those limits would be the responsibility of the dog owner. The legal issues in a dog-bite case can be complicated and difficult. A lawyer with experience handling dog-bite claims in your specific location will be able to walk you through the process. But every state has a statute of limitations on filing dog-bite lawsuits. In most cases, that limit is two or three years. So it’s important to act right away after a dog bite to line up legal help and make sure you get compensation for your injuries. A good legal team can help you discover more information about the dog-bite statutes in your area, as well as about other matters. We’ve got lots more legal information, as well as an extensive listing of attorneys in every area of the law and in every part of the country. Contact us so we can help you today!